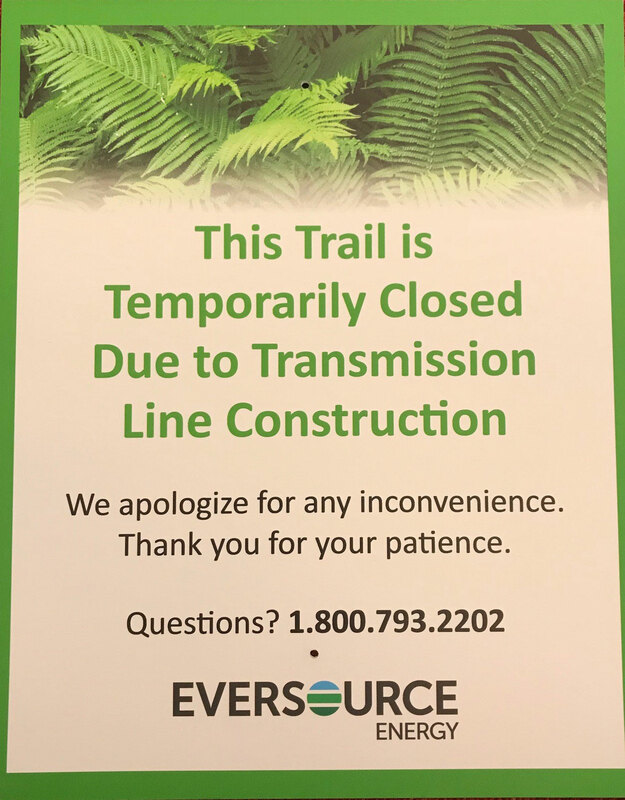 Eversource has announced that they will be replacing the supports for some of the high voltage electrical lines that cross the Supply Ponds Preserve this summer. The work will be phased and involves creating an access road along the right-of-way, constructing work pads and drilling holes to support the new poles, installing the new poles, transferring the lines to the new polls, and removing the old poles. 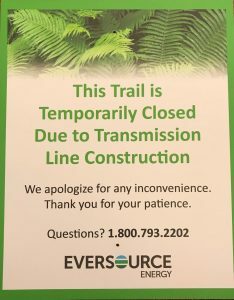 During the one to two week periods when work is occurring, trails that lead to or cross the transmission right of way will be temporarily closed for the protection of hikers (see “Trail Closed” sign). The trails will be reopened between the phases of activity. For more information, call 1-800-793-2202 or email TransmissionInfo@eversource.com.